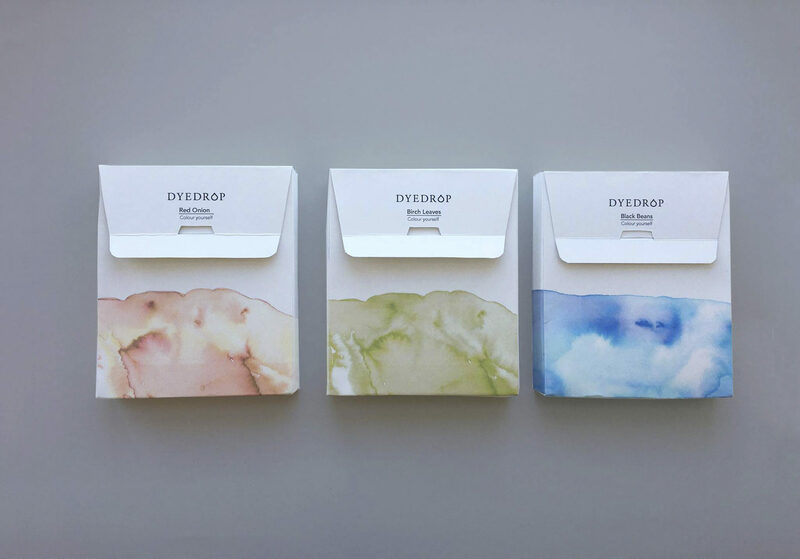 The concept of our packaging idea is based on the function of a tea bag, with a twist that contains plant coloring. Fashion industry is one of the largest environmental harm on our earth. 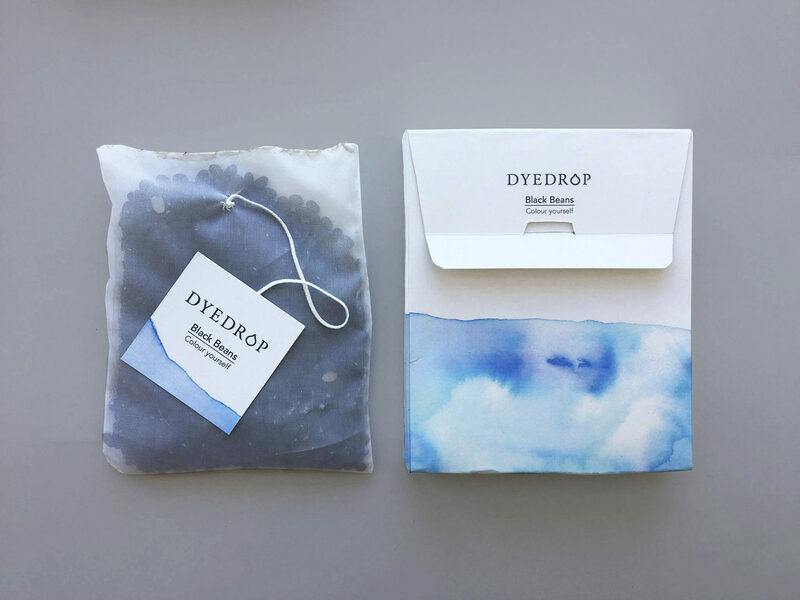 The process is complicated and involving long chains of production such as, raw material, textile manufacture, clothing construction, shipping, retail, use and ultimately disposal of the garment. 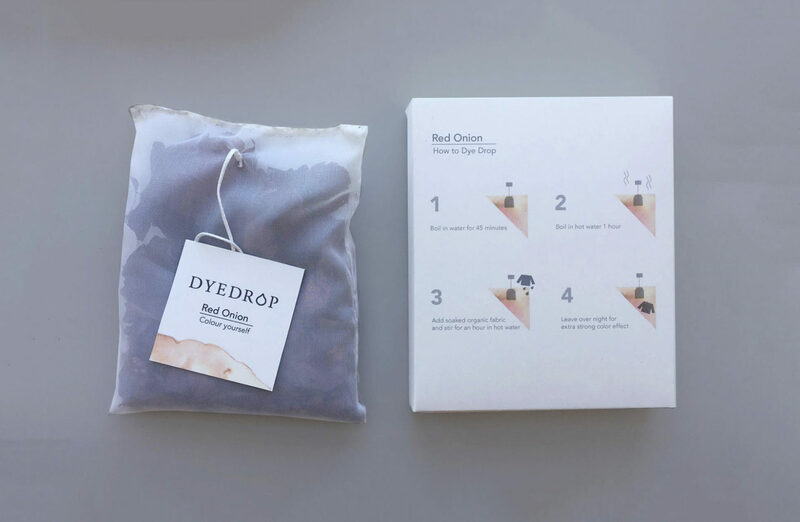 That is why we want to encourage people to reuse their clothes and give them a new life with natural coloring from plants with no dangerous chemical added. Do it yourself with sustainability mind is the core of our idea. 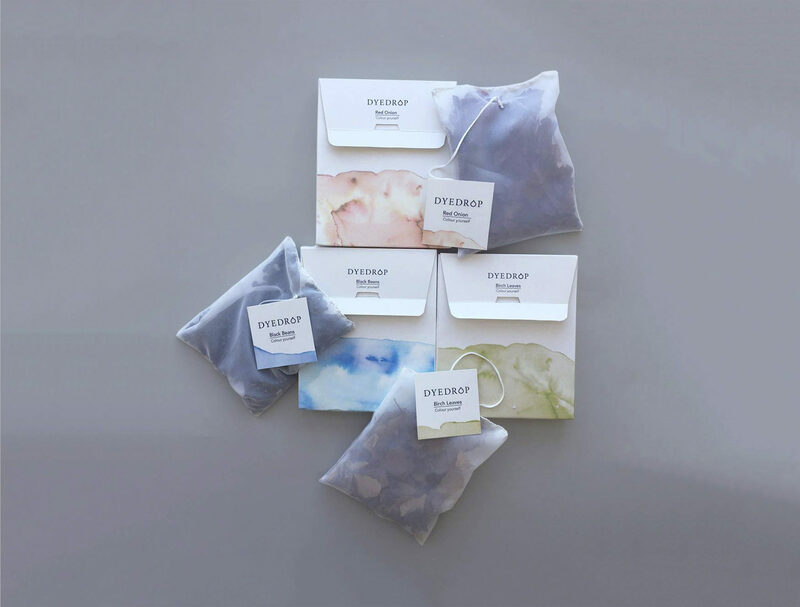 A line-up with packagings that contains tea bags with different plants inside to give natural color effect on fabric of your choice. On the back of the package a explanation in text and illustrations is placed to make it easy for the customer to be guide how to use the bag of plant for coloring. Our submitted project contains a serie of three packagings with coloring kit, birch leaves, red onion, black beans.